Long time Gladesman, Big Cypress Sportsman and my friend, has finished his time with us. Tony, was hunting inside the Loop area, long before I knew him. His love of the Big Cypress so strong, he would hunt alone, arriving in the dark and wading into his favorite spot. He would stay on his stand all day, coming out at dusk, if not successful earlier in the day. His knowledge of swamp deer, far greater then mine, gave him the skill to see and harvest deer when all the rest of us would not see any. After our acquiring Camp Six Pack, Tony whom worked at the same company as us, started coming on our swamp adventures and trips to camp. 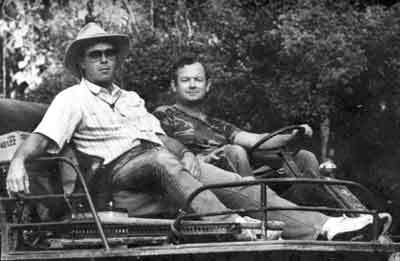 Tony started bring his father (Dom) with us on many of our hunting trips to camp. Tony gave Dom his favorite hunting spot to use every time Dom came with us to camp. The story "The Sting" on this web site was a story written by Tony about playing a joke on his father Dom. 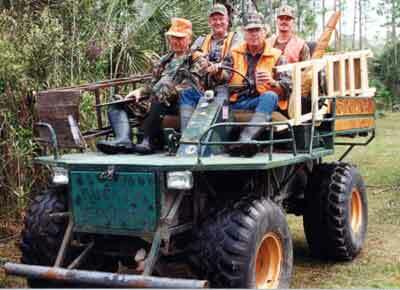 Dom hunted with us until he was about 80 years old. Another story on this web site written by Tony is the story "Tony Bear". 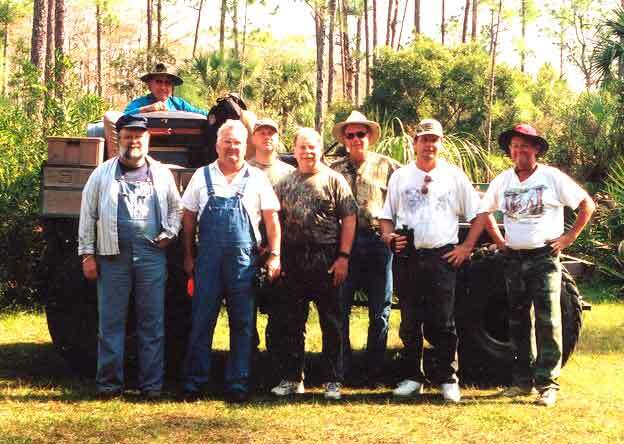 A story about his encounter in the Big Cypress Swamp with a bear. 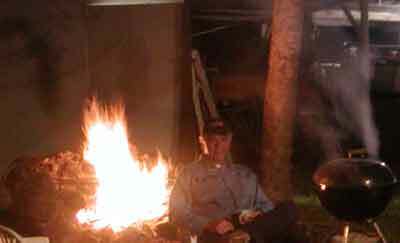 Over many trips to camp, Tony had several stories to tell about hunting, stories about over coming adversity and his shared camaraderie with other sportsmen over the years. Many of the trips to camp were outside of hunting season and Tony was always there to help with the maintenance of our camp. A contributor of more time in helping out with the camp, then half the other owners of the camp have spent. 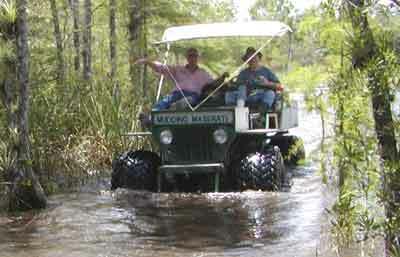 Only people that truly love the Big Cypress will go year round, including the hot muggy, buggy summers. Tony was always there with us, helping out and doing chores. He was constantly donating items to the camp to make it more enjoyable. 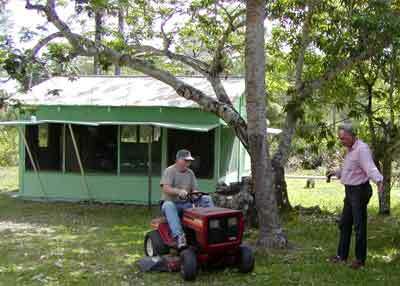 Tony was also well known by Gladesmen from the other Big Cypress camps. 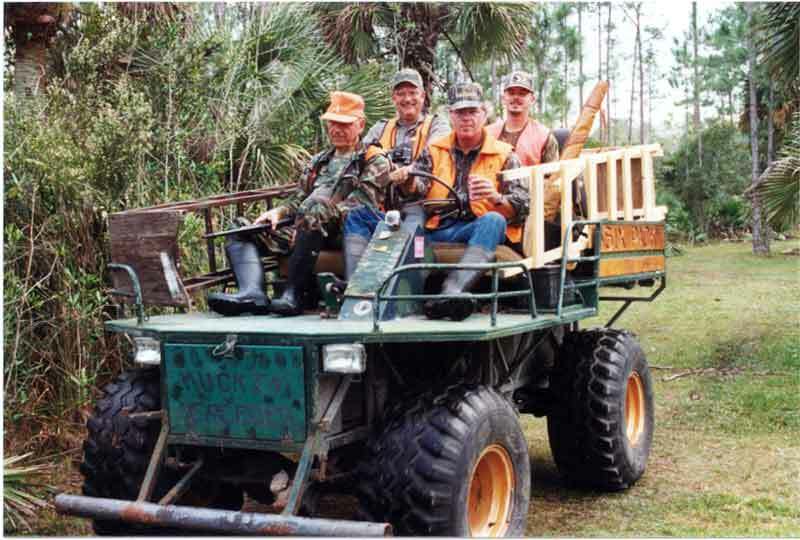 Greeting guests, sharing his stories and spending time with other visitors and Gladesmen that he would see in the Big Cypress Swamp. Tony was always willing to share his knowledge of deer and will be missed by the others also. A little adversity, Tony took it in stride, pitching in to help fix what ever was the obstacle to be overcome. I have discovered over the years that not everyone handles problems well. When things get tough, some people fold and others take the punch and keep on going. Tony was one of the tough guys. Keeping going until the job was done. A guy you could trust to get you through the rough stuff and provide what ever help was needed. While Tony never owned a swamp buggy, he was proficient at driving one. 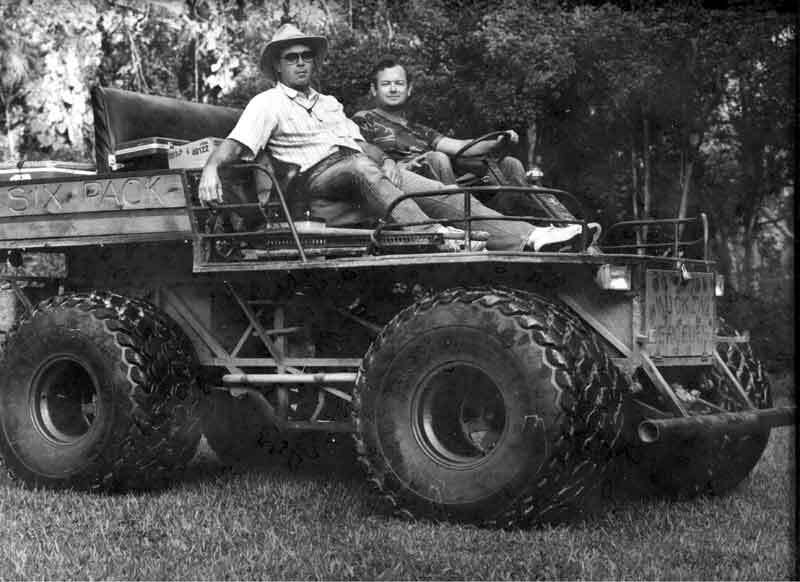 Many trips he would take on the driving chore of taking a second buggy to camp. Reading the mud and picking a route to camp, not always an easy chore, but one that Tony was good at. The end of the day, relaxing at camp, telling stories of the days events. 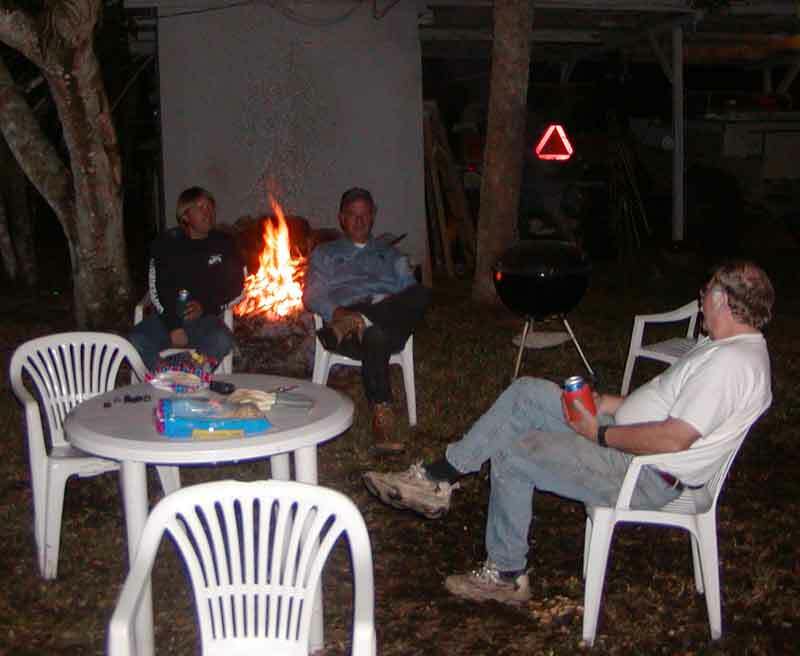 Each with a favorite liquid refreshment in hand, Tony was always spinning his best stories of the days events, usually including laughter about his hunting stumbles or humbly telling of his success. 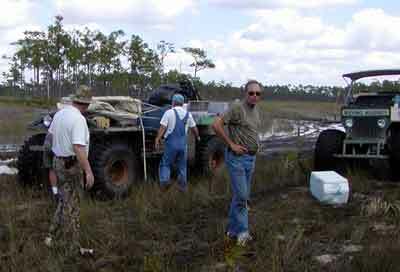 So Tony, soothsayer of wild life, master of swamp deer, I know you will be watching over the Big Cypress Swamp. I expect as I sit on my stand, when a low wind blows through the cypress strand, with that soft whispering sound the branches make, that you will be whispering to me, where the deer will come from, how to position myself on the stand and when to be particularly alert. Every camp fire from now on, will always remind me of the friend you were and the good times we had together.